The nineteenth hole is beckoning but you still have this difficult test to overcome. A really nice par three looking out over the expanse of the golf course. The shot has to negotiate trees on the right, a bunker short of the green protecting a fine landing area for front pin positions. 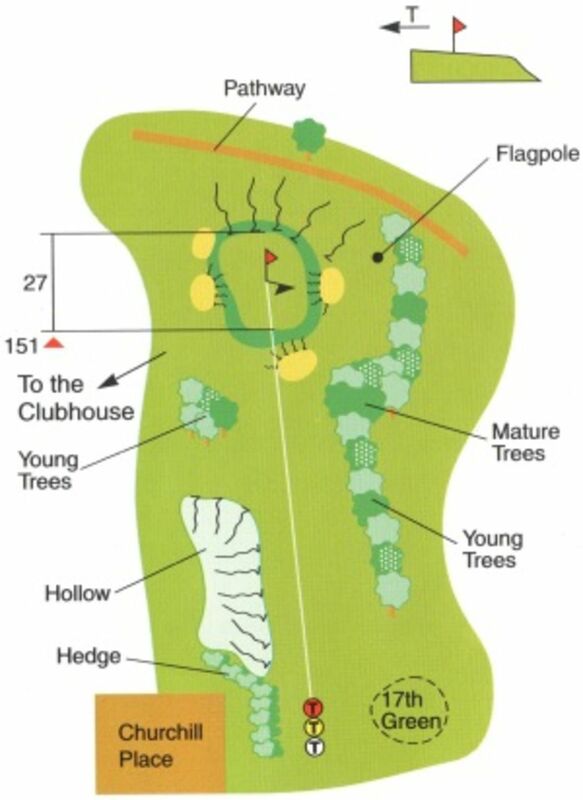 The green itself has a bunker on the right and three bunkers running around the side of it to the left. The back of the green runs away, down the slope, leaving a less than easy chip back. A straight forward green with a gentle slope if any left to right, front to back. Having enjoyed your round at Worsley golf Club the only thing left to do is to enjoy the hospitality of the 19th Hole.